The coffee shops in Paris are generally considered as the social, culinary and political pulse of the city. Or in other words, the Paris coffee shops serves as a sort of neighboring hub, rendezvous and a social networking site. With special characteristic features like bistro chairs, glowing ambiance, waiters in classic black and white suit, tempting menus, old style bar with place to perch these are the perfect places to have fun, relax and rejuvenate oneself. 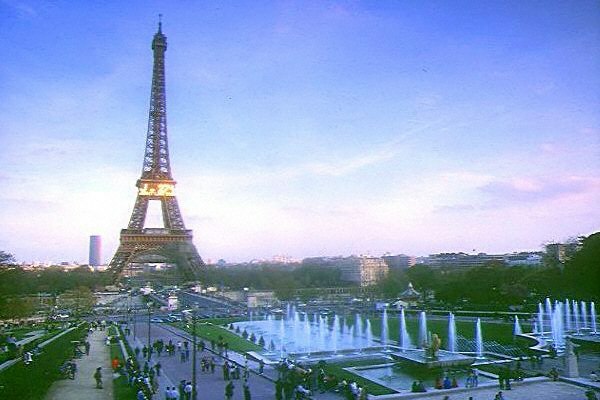 The popular city of lights, love and fashion-Paris truly tops the chart when it comes to art, culture, food and drinks. The warm smell of creamy coffee along with walnut cookies, special chocolate wafers, delicious taste of the freshly served croissants, and smile of the customers is the common specialty of Parisian cafes. But they are not just typical coffee shops. The Paris coffee shops are more like well designed restaurants offering exotic food dishes at any time of the day. One can simply enjoy the laid back pace of life by sitting in these cafes for several hours and watching the world go by. “Café Procope”, established at 13 Rue Ancienne Comédie, in 1686 is the oldest coffee shop in Paris, and is still in operation. Café de la Paix, Les Deux Magots, Café de Flore, Le Fouquet’s, Le Deauville, are amongst the other renowned Paris coffee shops. Taking a few moments out of the busy daily schedule, sitting inside the cafes on a cozy banquette and sipping cappuccino can be quite refreshing. Or sitting in the sunny terrace, drinking, people watching is also one of the most cherished pastimes in Paris. Paris is also supposed to be the home of several famous bars that claim to have hosted scholarly, literary and artistic clientele. Café Charlot is an excellent Parisian café with a nice terrace in the street, amazing service, amiable atmosphere and of course the notable delicious food menus. Be it generous sized delicious beef patty topped with melted cheese, tomato mozzarella salads, mixed fruit juices, tomato, lettuce and onions, crispy fries, glass of cold beer or rose wine, all are incredible. The prices of some of these cafes are quite expensive but it is worth splashing out once in a while. Thus there are impressive Paris coffee shops rambling all round the city, where one can always notice a buzz sitting on the crowded pavements as these charming and unique spots offer a brilliant multicultural Paris life. This entry was posted in things to do in Paris and tagged Café Charlot, Café de Flore, Café de la Paix, Le Fouquet’s, Les Deux Magots, Paris coffee shop, The Paris coffee shops. Bookmark the permalink.